Corn chips: Your chips are like your bricks. If they’re not strong enough, they might get too mushy too quickly, and too soft to hold all the goodies piled on top. We recommend you have thick sturdy chips to work with. Cheese: Your cheese is like the cement that holds everything else together. If you get anything less than real cheese, it’ll probably won’t hold as well. Use the good stuff that’ll stick; it tastes better too. Toppings: The tomatoes, onions, peppers, cabbage, beans, meat, and anything else will all add texture and tang to your final reveal. You’ll want to add toppings layer by layer, between laying your corn chip bricks and cheese, so every single bite has flavor to savor. 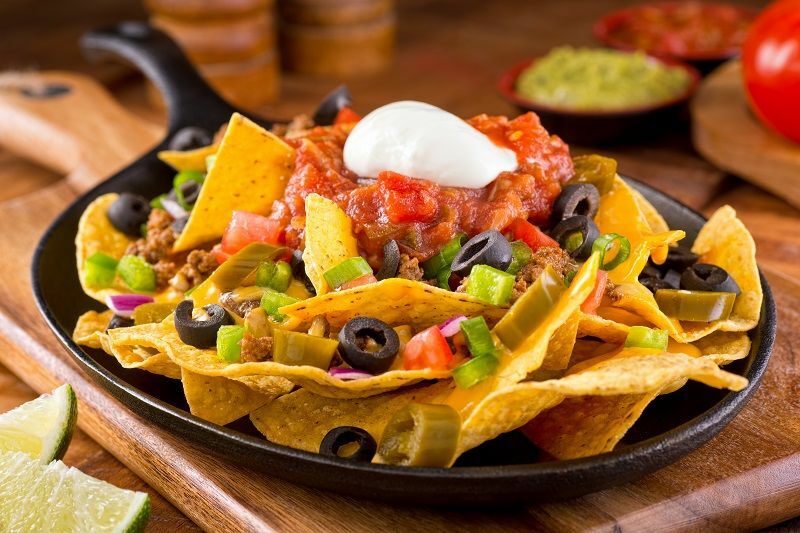 Color: The biggest thing that will influence the appearance of your nacho is color. For example, if you use white cheese with white corn chips, it will set a nice base for bright red tomatoes and green onions. Shape: The pile of the chips, cheese, and toppings will all determine the shape. Some people love a big tower of goodies, while others say spread out the pile across a sheet to make it less soggy and more tasty. Final touch: Like paint, the sour cream, guacamole, and cilantro should be the last topping, usually applied after the nachos have been cooked in the oven. Once it’s built, it’s time to knock it down. Unlike most of your building projects, this structure isn’t meant to last – the quicker they get devoured, the better job you did with the construction! If you’re looking for a new place to apply your building skills on a more permanent structure, call Madden today! We work with employers that are looking for talented craftsmen like you.